Yes ladies , don't you wish you had these heels in your shoe collection. Even though I cannot wear these type high heels because I am about 5'11, I will just buy these and look at it everyday . 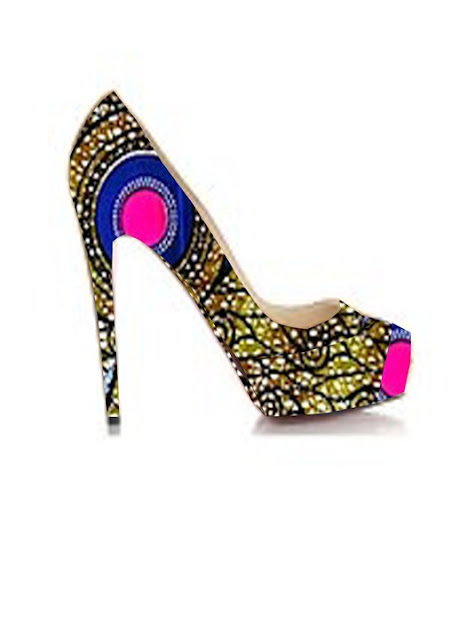 These are made by ethnik collection and if you want you will have to wait until next year when they will be released . You can check on the updates here. Any thoughts ? Do you like it ? So what do you think of ? I love it... its really pretty. I know guys , I wish i could wear it but it s beautiful . oh my god! These are so beautiful. I love them! they are perfect!!! ...and I agree with Udee, you better own that height and work these bad boys! !